2016 USL regular season schedule includes 30 total matches against Western Conference opponents. 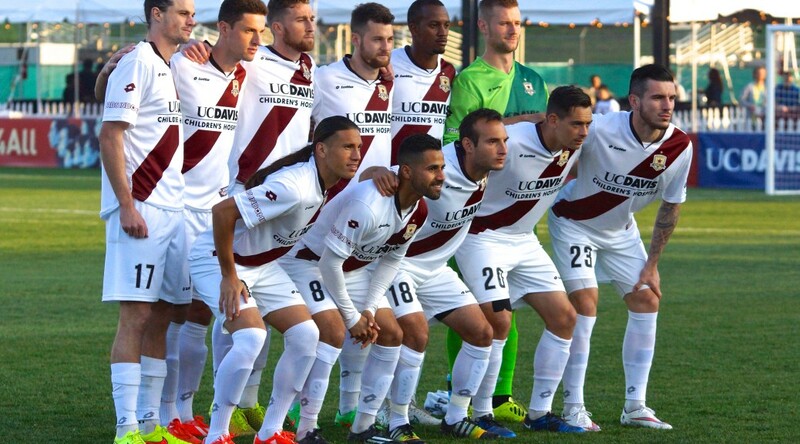 SACRAMENTO, Calif. – The United Soccer League (USL) released the 2016 regular season schedule including a 30-match line-up against Western Conference opponents for Sacramento Republic FC. The 2014 USL Champions will kick off their USL regular season on the road against Seattle Sounders FC 2 on Mar. 25. Sacramento Republic FC’s home opener will be held on Saturday, Apr. 2, against Arizona United SC at Bonney Field. Kickoff is 7:30 p.m. Sacramento Republic FC went undefeated against Arizona last season, winning the first matchup 2-1 and playing to a scoreless draw in the second match. During the 2016 season, Sacramento Republic FC will face every team in the newly reconfigured USL Western Conference at least once. Sacramento Republic FC will play LA Galaxy II and Orange County Blues FC four times; Vancouver Whitecaps FC 2, Seattle Sounders FC 2 and Real Monarchs SLC three times; Arizona United SC, Portland Timbers 2, Rio Grande Valley FC and Saint Louis FC twice and Colorado Springs Switchbacks FC, Tulsa Roughnecks FC, Oklahoma City Energy FC, Swope Park Rangers KC and the yet-to-be-named San Antonio team once. The last home match for Sacramento Republic FC will be against their rivals, LA Galaxy II on Saturday, Sept. 17. Sacramento Republic FC’s 2016 USL regular season will conclude on the road versus the Tulsa Roughnecks FC on Saturday, Sept. 24. The schedule includes a season-long four-match home stretch from May 14 through June 7 for the boys in Old Glory Red and their longest road stretch at five matches, beginning July 10 and running through Aug. 2. Sacramento Republic FC will play an away match versus Real Monarchs on June 11 in Reno, Nev. at the Aces Ballpark. The television and radio schedule for Sacramento Republic FC will be announced at a later date. Single match tickets go on sale to the general public via Ticketmaster.com on Tuesday, Mar. 1. The schedule may be viewed and downloaded at SacRepublicFC.com/schedule.